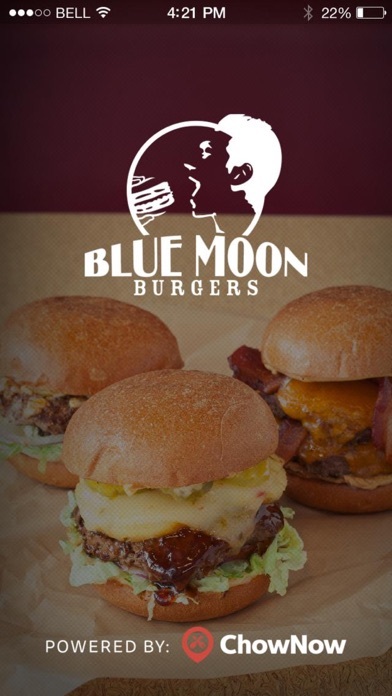 Would not take my order- tried 3 Times, and then it said “timed out.” But the worst: Blue Moon now charging for adding pickles, red onion, lettuce, and tomato. Have never, ever seen that. Not as much the app as it is the restaurants handling of the app. Placed my order for asap pickup via the app. Got to the restaurant and waited. I watched and listened as someone waited in line, ordered the EXACT same thing that I ordered. They get their order and 20 minutes later I get mine. Restaurants excuse was "they're busy." No excuse for this level of customer service in an area of town surrounded by a company who is customer obsessed. My advice: skip the app and skip their line. Go to Sams Tavern and get a better sandwich faster from a friendlier, more competent staff. 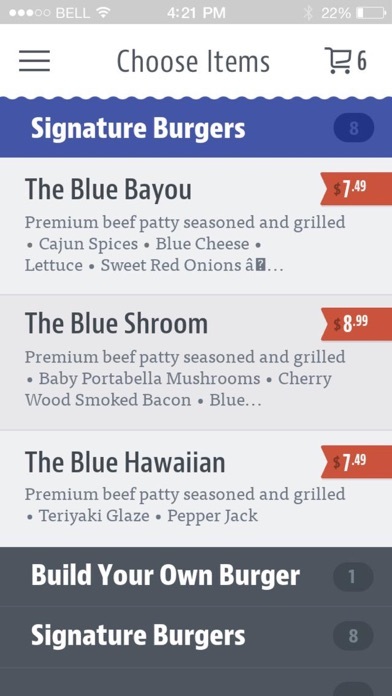 It's super handy to be able to order on the go. Some feedback regarding payments: When it comes time to decide how to pay its not clear that the card selection is scrollable which has led me to enter cards multiple times. Additionally there's no way to delete payment methods so because of card reissues and expirations (and the duplicates from above) there are a bunch of cards associated with my account that I can't delete. Visually appealing but not robust enough for the dizzying choices/options available. Can't even read entire description because the space is only so big and no way to enlarge it scroll. A good attempt but certainly wasn't tested very well as these as basic problems. 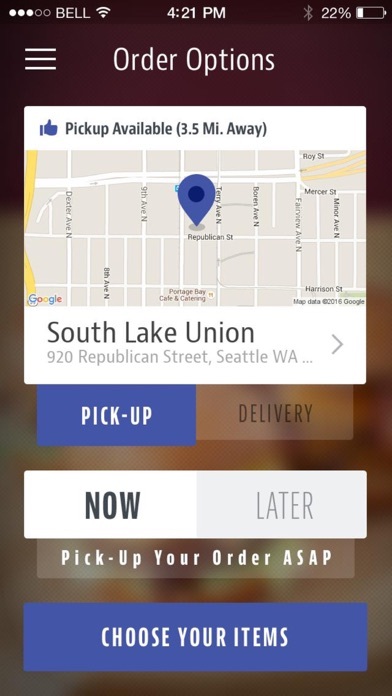 will be great when app can tell you at what time your order will be ready and send a notification when it is ready. Used the app tonight. Easy to use however both burgers were wrong. 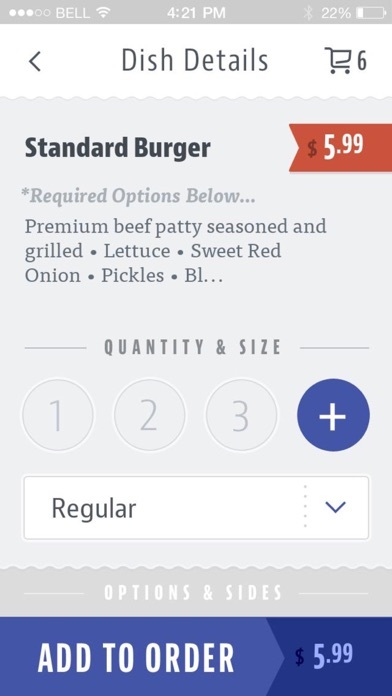 Error on multiple requests (not a big fan of well done burger!). The phone number just goes to an answering machine so no help there. This is the 2nd time BM burgers has incorrectly filled our order. Not sure I will return. It has been one hour and no one has returned the message I left.